Reminiscent of diners of years gone by, this diner allows you to peak inside. 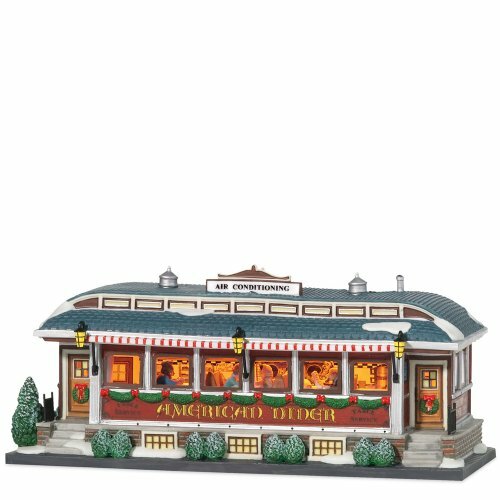 This hand-painted ceramic lit building, includes adapter cord and LED lighting. A peek in the window shows diners enjoying good food and good conversation.